The European licence for Reductil (Sibutramine) is currently suspended. No new prescriptions for this drug will be issued. Reductil® (sibutramine) is a medication that was prescribed to people who needed to lose weight but were struggling with diet and exercise alone. Reductil was formerly licensed to be taken for up to 12 months. Most patients were able to achieve their weight loss goals within this timeframe and, by adjusting their lifestyles while on the treatment, managed to keep the weight off after they come off the medication. Unfortunately Reductil is no longer licensed so it cannot be prescribed. Reductil worked by blocking the re-uptake of certain neurotransmitters which influence satiety during and after eating. This meant that patients being treated with Reductil felt satisfied with less food therefore ate less than normal. To some extent, Reductil also attenuated the slow-down in the body's metabolism which sometimes accompanies weight loss, making it easier for the body to burn calories. 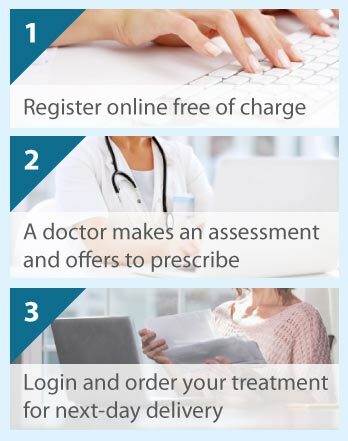 Reductil is no longer available to prescribe but if you request a free consultation, one of our doctors can consider you for an alternative to assist with weight loss. Reductil is no longer prescribed but here are the former dosing recommendations. The normal prescribed dose for Reductil was one 10mg or 15mg tablet a day at least one hour before eating. For best results, Reductil was taken in the morning just before your first meal. In order to work properly Reductil was to be taken with a low calorie diet. The starting dose for Reductil was 10 mg. We recommended that all patients started on this dosage although we usually approved patients for the 15 mg dosage as well if this was appropriate in their circumstances. Reductil is a strong medication so we insisted that patients started on the lower dose to ensure that they were able to tolerate the drug well and were not experiencing any side effects. As with all prescription medications there were potential side effects. In clinical studies the most common side effects were increased blood pressure and/or heart rate, headache, dry mouth, constipation, and sleeplessness. Most people who got side effects got them early on (in the first four weeks) and found they wore off over time. Generally, any side effects were usually mild enough for people to decide to carry on taking Reductil. A very large post-licensing study into the long term side effects of Sibutamine was undertaken in the EU and people with pre-existing cardiovascular conditions suffered a higher incidence of non-fatal cardiovascular events than those taking a placebo so it was decided that Sibutamine should be withdrawn. This decision was very controversial as people with pre-existing cardiovascular risk should not have been prescribed Reductil (Sibutramine) in the first place and the study also lasted 6 years when the maximum period for which the drug could be prescribed was one year. The license holder of Sibutramine has been told that it will not have its license reinstated unless it can demonstrate that Sibutramine is safe in patients with no pre-existing cardiovascular risk. We are not aware of the any further studies into the drug's safety and efficacy at this stage. If you are struggling to lose weight then please complete a free consultation online and we will consider you for an alternative treatment.